Relax and enjoy the Redwoods or visit your HSU student at the Lincoln House. 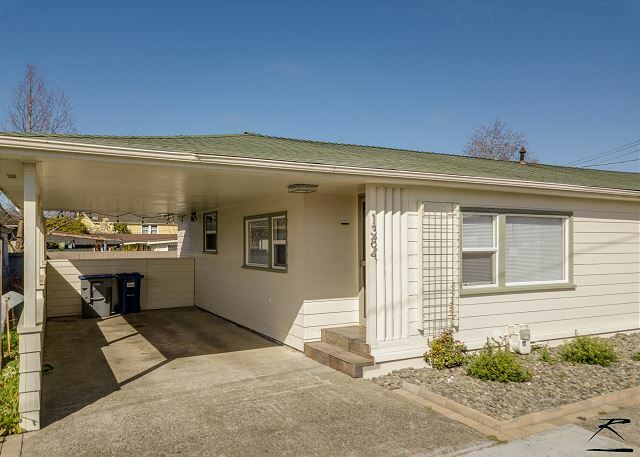 Located just blocks from HSU, this 3 bedroom, 2 bath home is a fresh, clean, and inviting accommodation that’s perfect for a visit to the Redwood Coast. 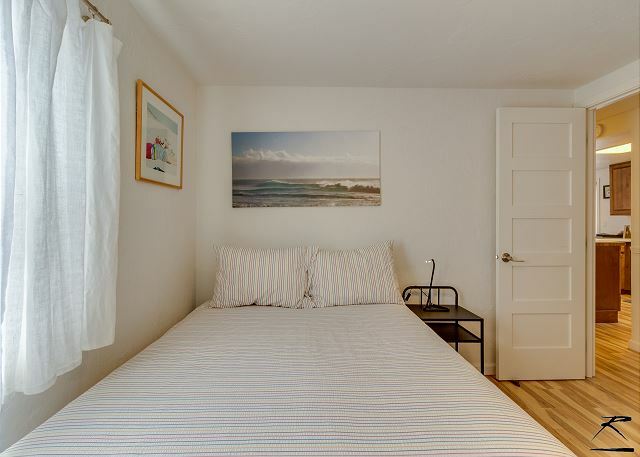 The Lincoln House is a delightful, small, three-bedroom home that is ideally suited for two to four guests. 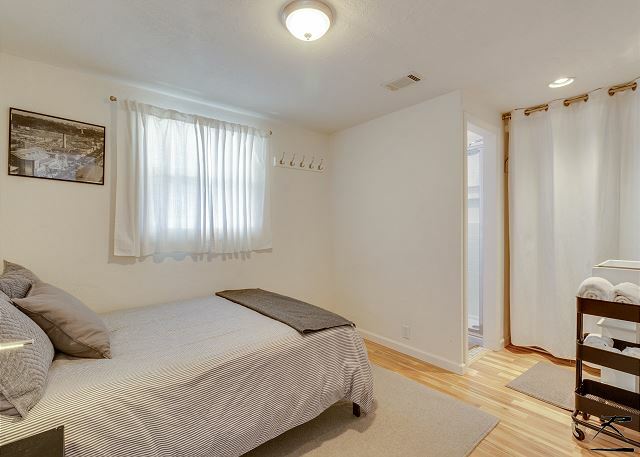 The master bedroom features a double bed and euro style en-suite private bath. 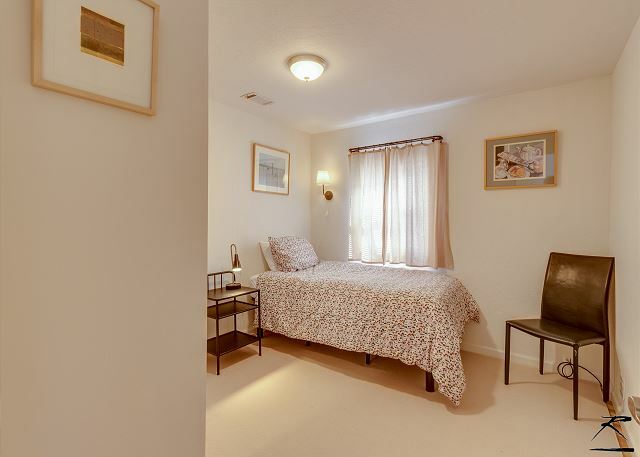 The second bedroom has a twin bed and the third bedroom offers a queen size bed. 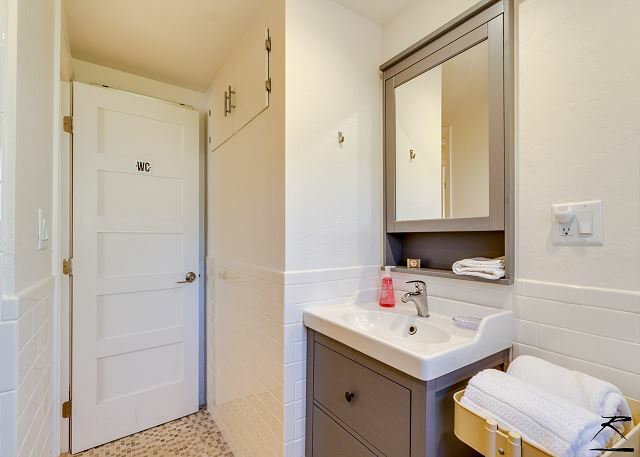 Both bathrooms are newly remodeled with contemporary fixtures, gorgeous subway tile work, and modern vanities. 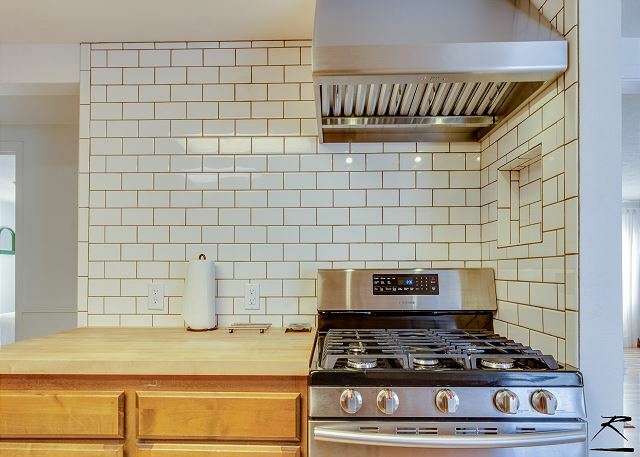 The kitchen is fully stocked with all the necessary essentials, some new appliances, and plenty of storage space. 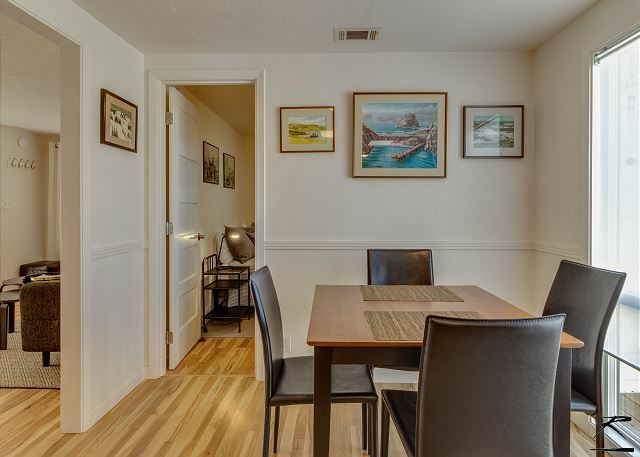 The dining room seats four and opens to a small deck and private backyard. 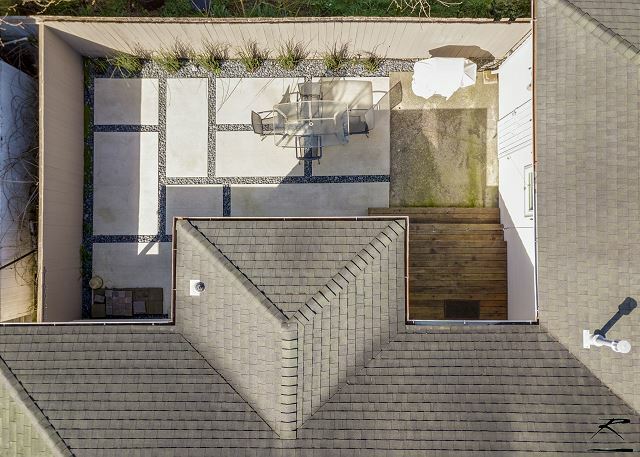 The backyard has a modern feel with mosaic cement pavers separated by smooth Mexican beach pebbles and accented by unique planting arrangements. There’s also an outdoor dining table and new propane grill. 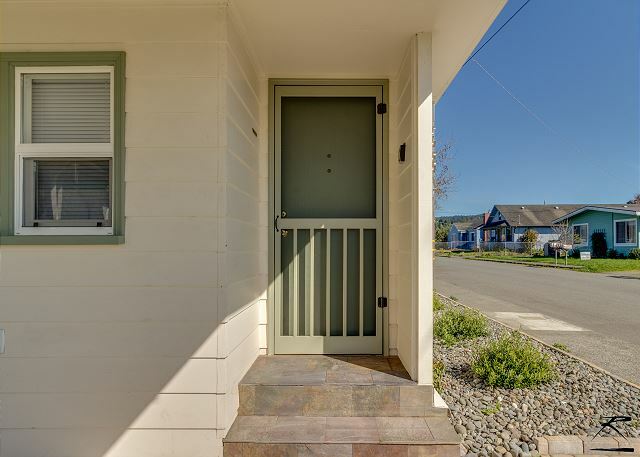 Situated in a quiet, residential Arcata neighborhood just blocks from Humboldt State University (HSU), the Lincoln House is the perfect home base for any Redwood Coast excursion. 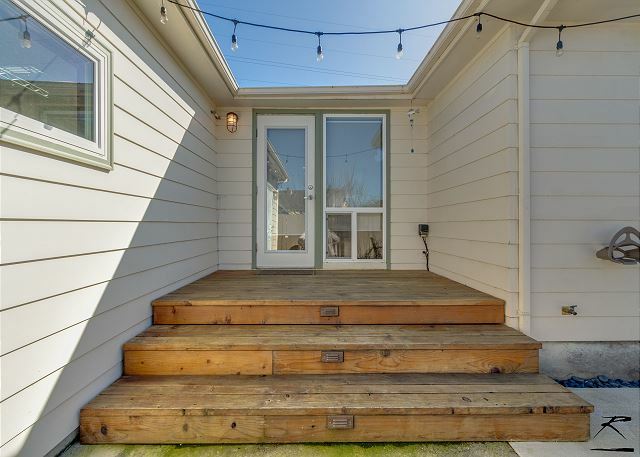 The home’s central location provides easy access to Arcata’s downtown and cultural centers. You can enjoy shopping, dining, and a plethora of local events held at the Arcata Plaza and HSU. Within minutes you can be hiking trails in the Redwoods or beach-combing miles of accessible coastline. Arcata’s central, north coast location is a half hour drive to Redwood National Park, 15 minutes from the gorgeous beaches of Trinidad, seven miles north of Old Town Eureka, 30 minutes from the Victorian Village of Ferndale, and about an hour from the Avenue of the Giants and Humboldt Redwoods State Park. ? Fantastic, cozy house with everything you need. Close to town, redwood hikes and endless beaches. 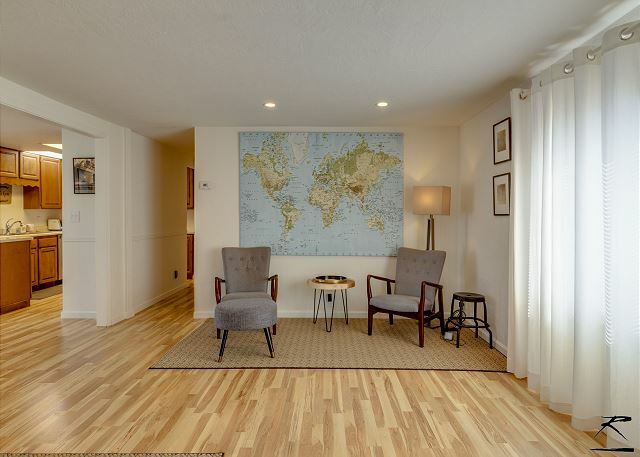 The house is in a quiet neighborhood, nicely appointed and very welcoming. Would highly recommend it! Thank you for leaving a review of Lincoln House, I'm happy to hear it was a great fit for you! 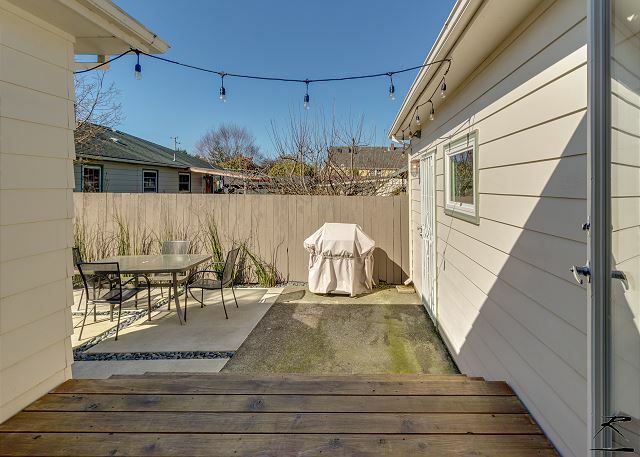 Walking distance to downtown Arcata, this home is a cute little gem that's clean and comfortable. We would love to have you back again the next time your visiting the North Coast, please look us up at Redwood Coast Vacation Rentals when planning your next trip, and thanks again for leaving a review! The house was nice except for ants in the middle bedroom and a few by the table. My biggest issue was parking. No parking in front of the house. My super crew 150 with 6.5 ft bed took up the whole carport so I had to let people out before parking. I'm sorry you had to contend with ants during your stay, this time of year in Humboldt County they can be a problem. Please give your property manager a call in the future so we can come over and eradicate them for you. We don't mind at all! There is street parking for vehicles as it is a one car driveway. Thanks again for your review, and we look forward to you staying with us again here on the North Coast! Please look us up at Redwood Coast Vacation Rentals when planning your next trip, with over 120+ properties, there's something for everyone! 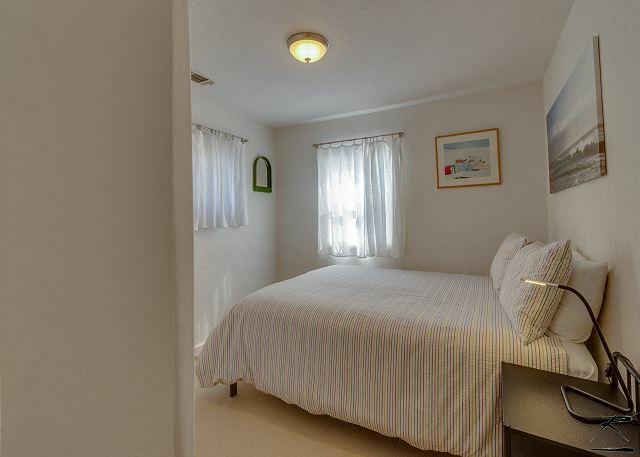 Rental is a great location for activities in Arcata and the University. Very quiet neighborhood and the house was immaculately clean. Beds were comfortable and bathrooms updated. Easy to entertain for a dinner with extended family (although kitchen table is small - we were able to utilize the patio table). The house felt modern and comfortable. Thank you for your review of Lincoln House! I'm so glad you enjoyed the home and the neighborhood. 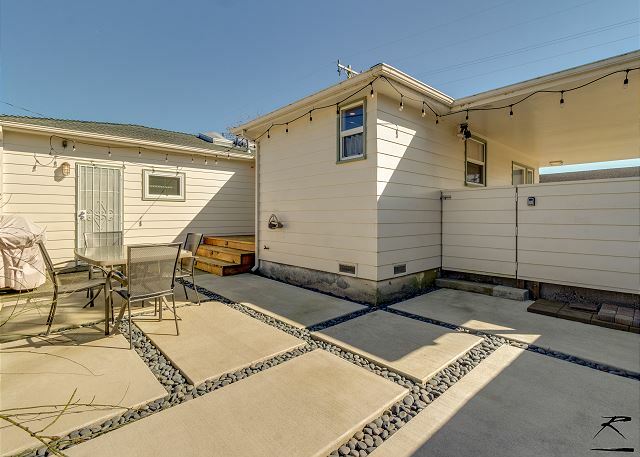 It's a great home for those that like to take walks around the neighborhood, and it's even walking distance to downtown Arcata and the University. 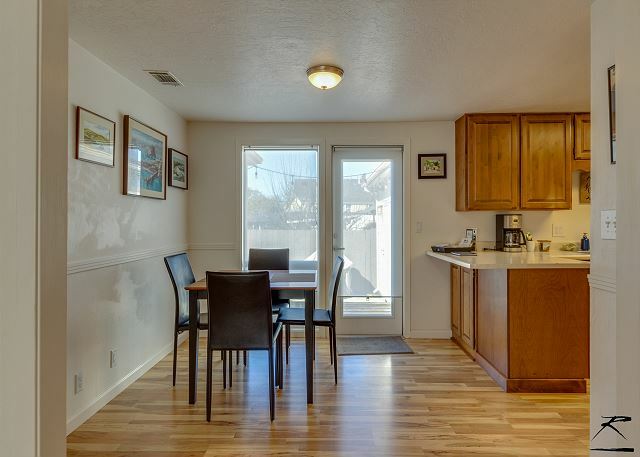 We would love to have you back again, so please look us up at Redwood Coast Vacation Rentals when planning your next trip to the North Coast, there's lots to love here, and it's a great space to set up base while exploring. With over 120+ properties. there is something for everyone! Chose the location for its proximity to HSU while visiting our son. It was fantastic! Easy check-in, very clean and being able to make some "real food" for our son was great. Kitchen was adequately appointed for what I was making. Looked exactly as the pictures showed. Welcome gifts were a very appreciated extra touch! Backyard area was a nice place to relax outdoors. Will definitely choose this location again! Thank you for taking time to leave a review of your stay at Lincoln House! It is a very comfortable home, and I love the vibe. 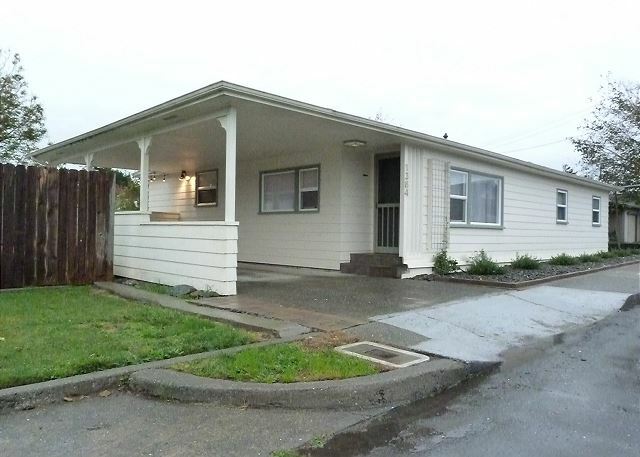 Close to downtown and Humboldt State University, not to mention the beautiful Community Forest! 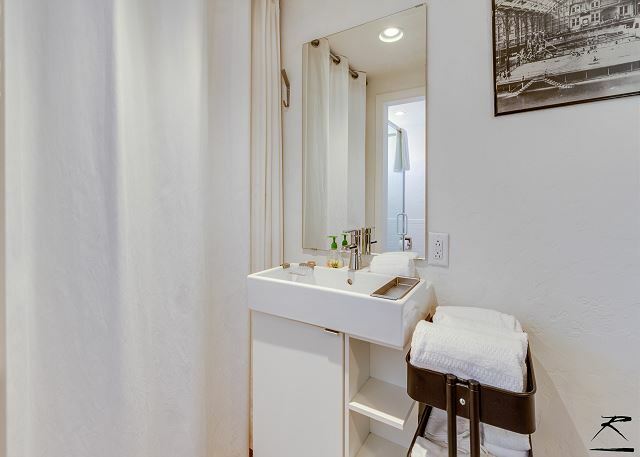 We would love to have you back anytime, please look us up at Redwood Coast Vacation rentals when planning your next stay on the North Coast, with over 120+ properties, there's something for everyone, and it sounds like you found the perfect fit! We had some relaxing days. The house was very clean and cosy. Thank you! Glad to hear you enjoyed your stay at Lincoln House. Please come back and stay with us again, look us up at Redwood Coast Vacation rentals when planning your next trip to the North Coast! Staying at the Lincoln House was a treat! 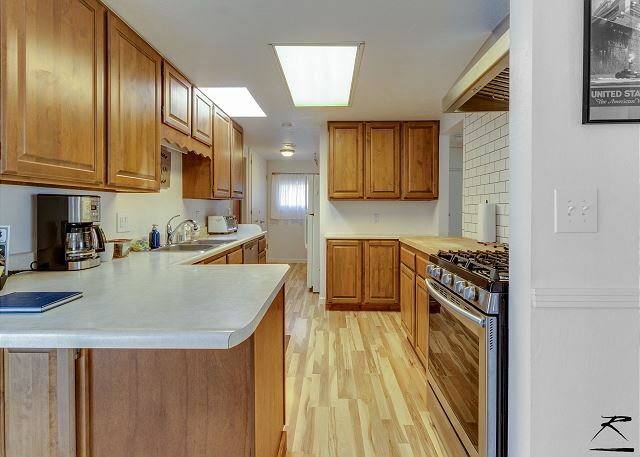 Beautiful house, clean and updated. It's close to so many things to do. We will definitely chose to stay there again. I agree, The Lincoln House is really well done, I'm very happy to hear you loved it also. Please visit us at Redwood Coast Vacation Rentals when planning your next trip to the North Coast, with over 100+ properties, there is something for everyone! Thanks for the nice review, and we look forward to your return. Please look us up at Redwood Coast Vacation Rentals when planning your next trip to the North Coast! My family of 4 loved this cute home. We had come to town to tour HSU and the town. It was the perfect spot for us. I loved the decor, made me feel like I was stating in a summer cottage. The bathrooms are sharp and it was super clean. Grateful for the laundry and gas grill/patio. Thoughtful treats left for us too. We will be back. My only suggestion is to provide a hair dryer - I had not thought to pack one and was surprised there wasn't one. Rocked the natural look for 5 days. Thank you for the review and we will be adding a hair dryer ASAP, thanks for letting us know it was absent. Please give your property manager a call in the future if you need anything during your stay, and we will do our best to provide it. A hair dryer is an essential. Thanks again for taking a moment to leave a review, please look us up at Redwood Coast Vacation Rentals when planning your next trip to the North Coast! 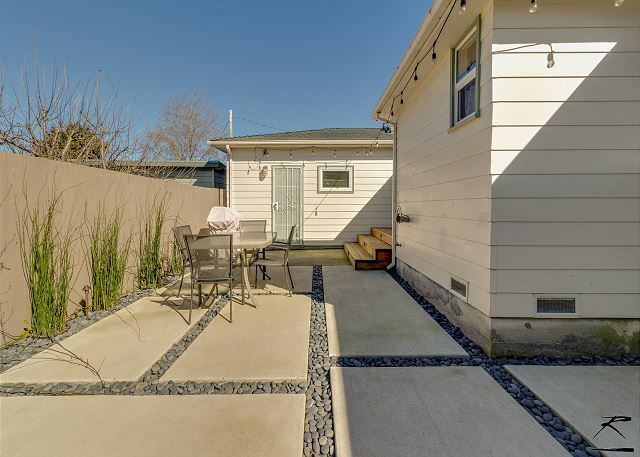 This is a lovely little house in a quiet, convenient neighborhood. Walking in the front door we were surprised and pleased by the open, modern look of the living area. 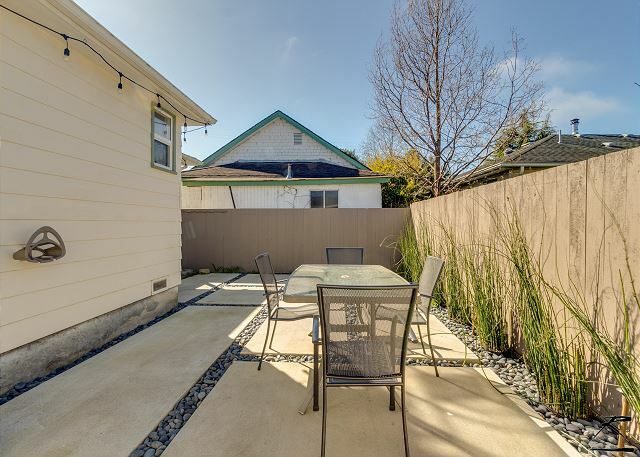 And the outdoor space is lovely, functional, and private. We invited a few of our son’s friends over for dinner, and the kitchen and outdoor grill were perfect for entertaining. Only nit is that I could not find a hair dryer, something that is now common in most lodging. All in all, a lovely stay in beautiful Arcata. Thank you very much for your review of Lincoln House. 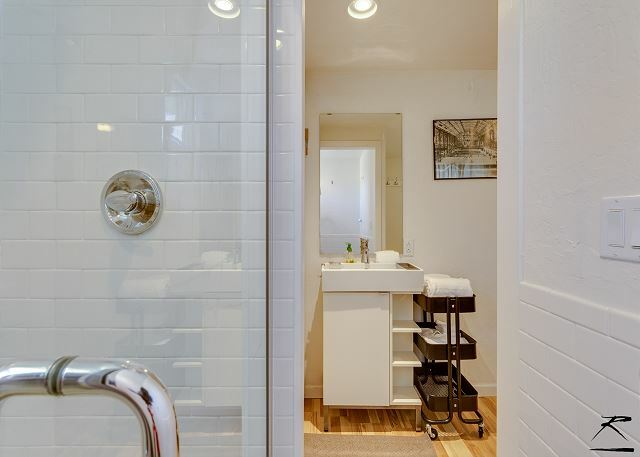 Feedback is really valuable, and we will be adding a hair dryer to round out the amenities. Thanks so much for leavoing a review, and we hope to have you back soon! Perfection - exactly as described - loved it! This sweet house was exactly what we needed - close to town, clean and comfortable. 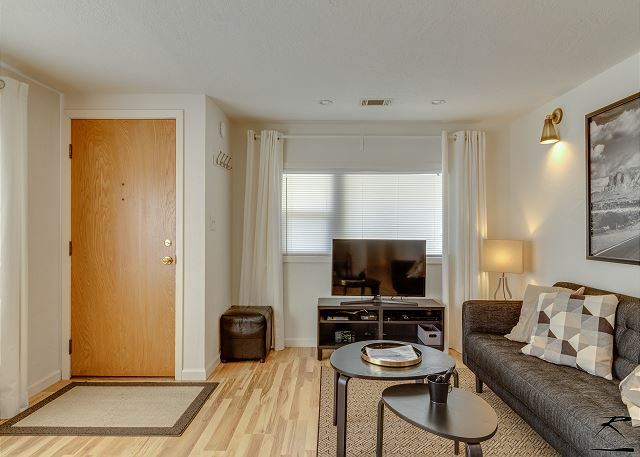 Great modern/comfy feel with some really nice touches like original artwork, plush white linens, and a little kitchen welcome bag featuring local shops. Thanks for leaving a review of Lincoln House, I'm glad you enjoyed the local gift bag full of treats from local businesses we're happy to introduce our guests to. Please look us up at Redwood Coast Vacation Rentals when planning your next trip to the North Coast! The house was in a very quiet neighborhood, and was decorated very nice. The beds were very convertible. 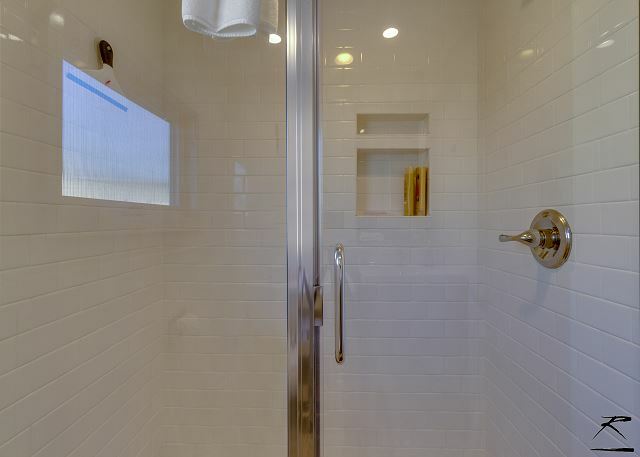 However, the showers need different type of heads. One was too big, and the other was too high. I believe these can be fixed pretty easily. Besides that, the rest of the house and the outside area are set up very nice. Thanks for your feedback regarding The Lincoln, I will speak with the owner and take your suggestions into consideration. Thanks so much for staying with us, we'd love to have you back again soon, please look us up at Redwood Coast Vacation Rentals when planning your next trip to the North Coast! What a fantastic place to stay in Arcata! We will definitely be back and stay at the Lincoln House whenever it is available. It is very close to my son's apartment and the neighborhood was quiet and easy to find. 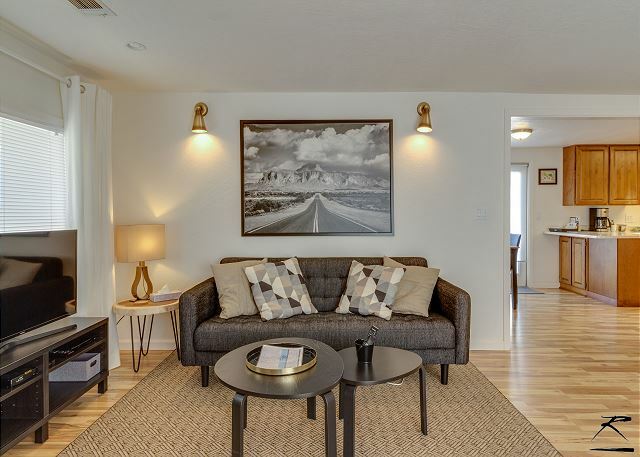 Very close to the center of town, groceries and getting to the highway was easy! So happy to hear you love The Lincoln House! 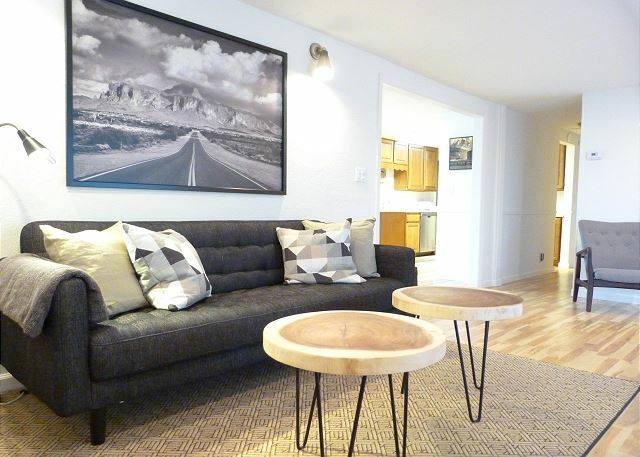 It's very chic, and well maintained, with great decor and an awesome location. We would love to have you back anytime, please look us up at Redwood Coast Vacation Rentals when planning your next trip to the North Coast! 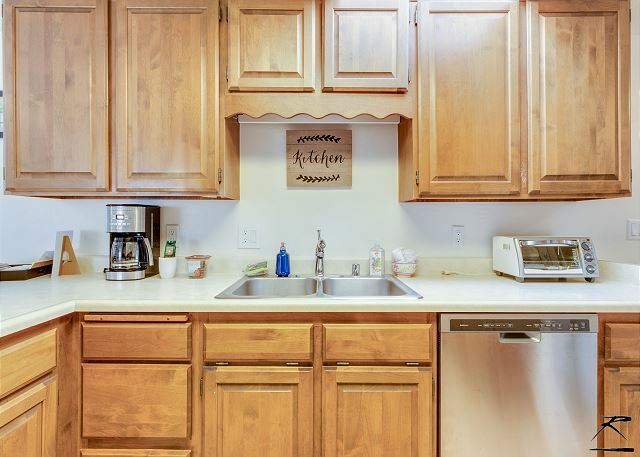 Glad to hear Lincoln House served your vacation needs well. It's one of our newer properties and we love getting feedback from guests. So thanks for taking a moment to leave your review! Please look us up at Redwood Coast Vacation Rentals when planning a trip back up to the North Coast, with 100+ properties, there is something for everyone!